The DMC60C is the feature-packed, CAN-enabled successor to the DMC60. It is a powerful, compact, FIRST Robotics Competition (FRC) approved motor controller designed for use with any 12-24V brushed DC motor. 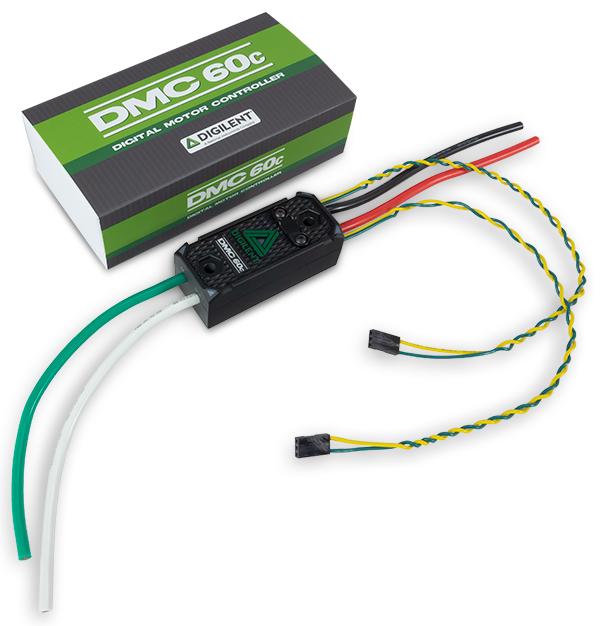 The DMC60C features an open loop PWM control mode, two internal closed loop control modes (voltage compensation, current control), two external closed loop control modes (position, velocity), and a follower control mode. These features are made available in competition with an easy-to-use API, complete with examples, in C/C++, Java, and LabVIEW. The DMC60C also features a web configuration utility that can be installed on any FRC configured roboRIO. This configuration utility enables live configuration of several DMC60C parameters including closed loop PID constants. 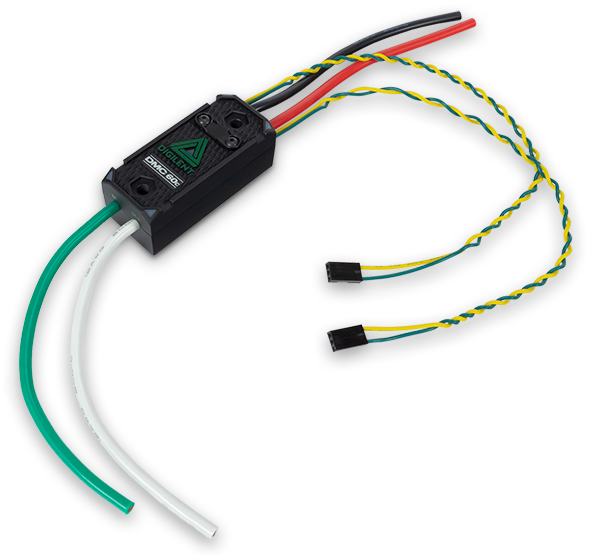 This makes the DMC60C an ideal component in any robotics application. DMC60C Firmware (v1.26) Hex File Download – See the DMC60C Software Reference Manual above for installation instructions. For FIRST Robotics Teams that are interested in evaluating the DMC60C for use, please contact us through our sample process.